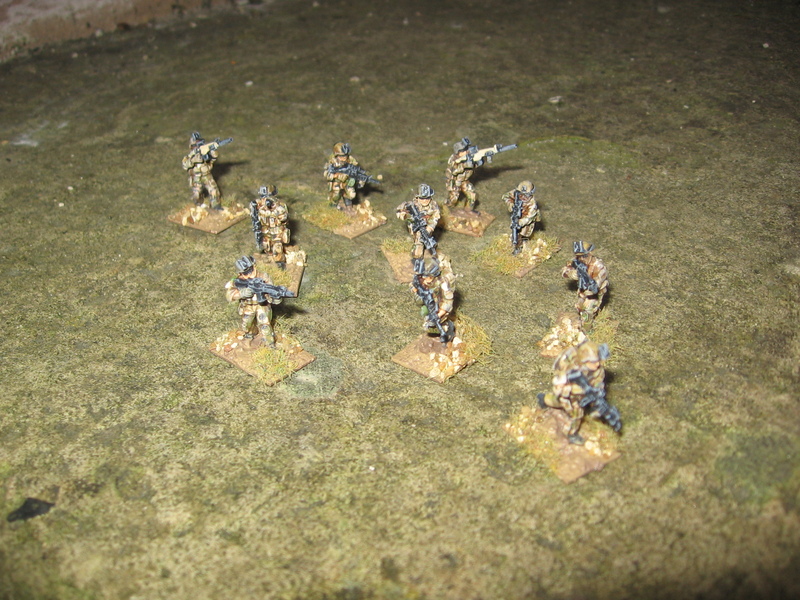 Some more Elhiem figures- 50s Cold War Brits, Soviets in Afghanistan and a MENA sniper…. Been getting on with some painting, trying to reduce the lead mountain and more importantly those many boxes of figures I’ve got lying around which are started but not finished. I seem to have developed a habit of cleaning, prepping, basing and undercoating figures then leaving them sat in that state in a box for months. 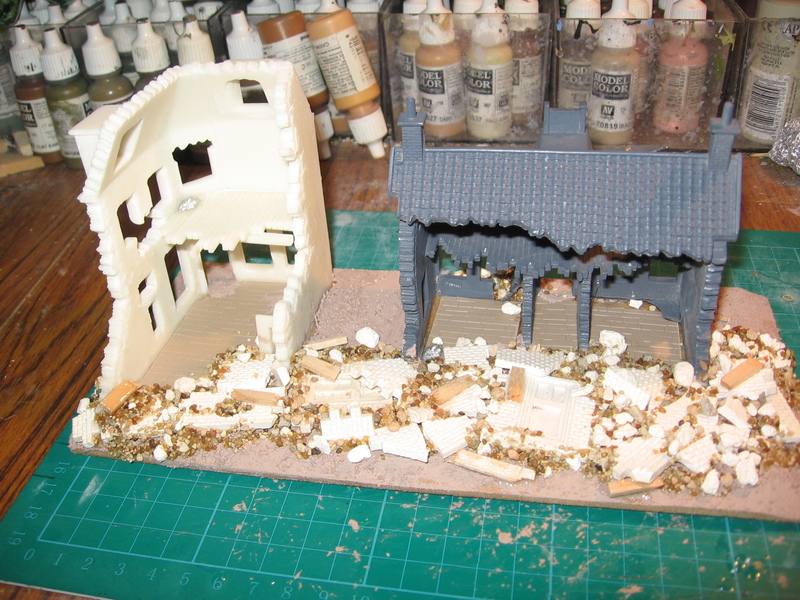 Tidying the shed found lots of abandoned projects in that state today. 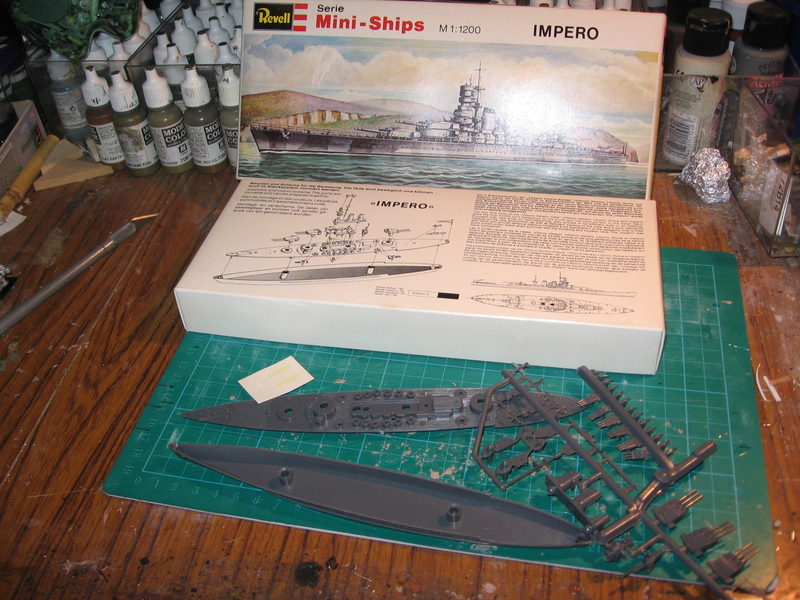 Additionally the take up far more space than if I’d left them in their packets in the bare metal… any way I digress, on with the pictures. First up is a generic insurgent sniper for the Middle East/ North Africa region. 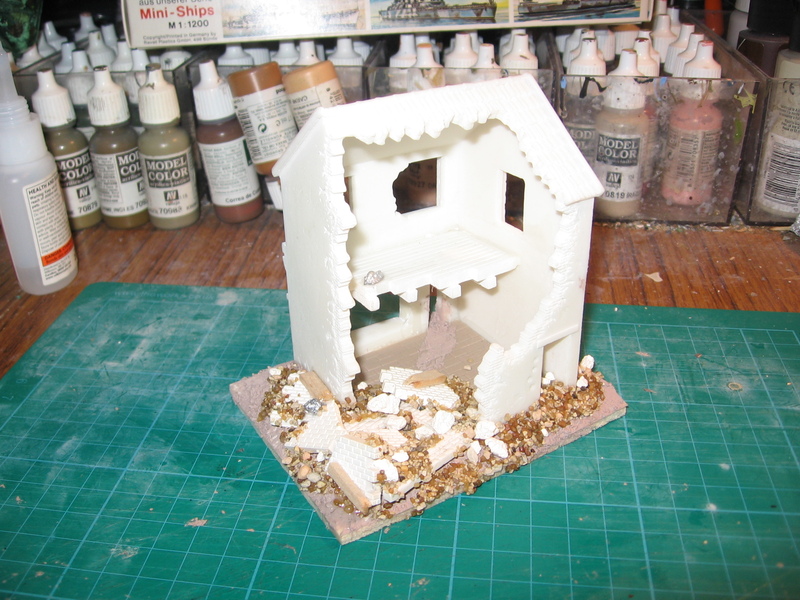 I made a little scenic base for him to fit into too to add a bit more interest. I painted his trousers in a Russian camo pattern, you can just make that out hopefully. Armed with the ubiquitous SVD sniper rifle. 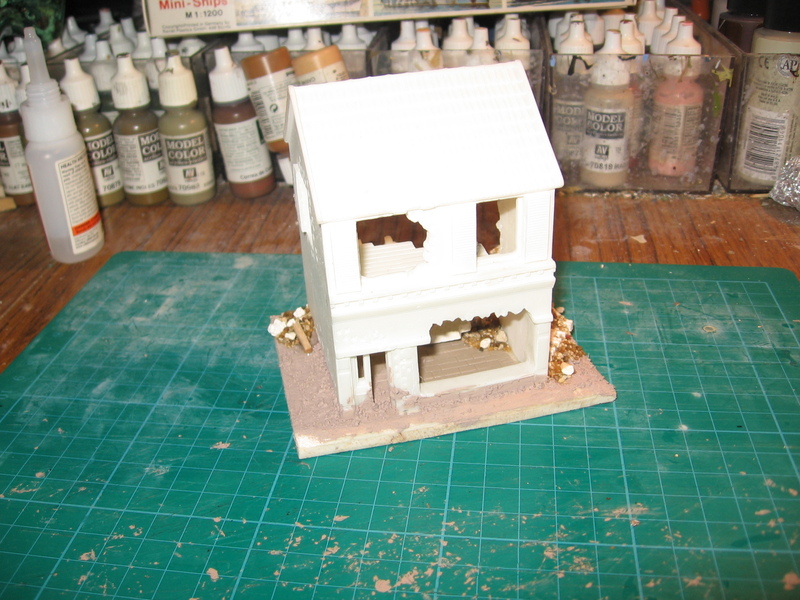 I’ll use this idea for other figures too as well as trying a rural base. Here we have 8 Soviets with a mix of small arms wearing the tropical uniform as seen in Afghanistan in the 1980s. I’m getting drawn by the retro appeal of the 1950s to gaming the Cold War in that era. I painted up a three squads worth of Brits. They are suitable for that short window of time after the introduction of the SLR but before the WW2 still uniforms were withdrawn; so 1954- 1960. NCOs have Sterlings the section LMG is the 7.62mm version of the Bren the L4. 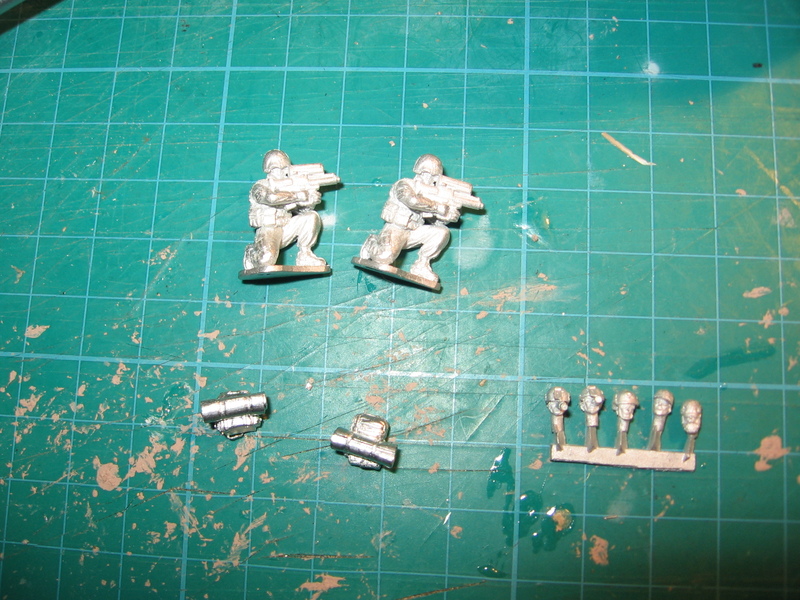 Section AT weapon is a bazooka (one is slungg on the back of the figure on the left. 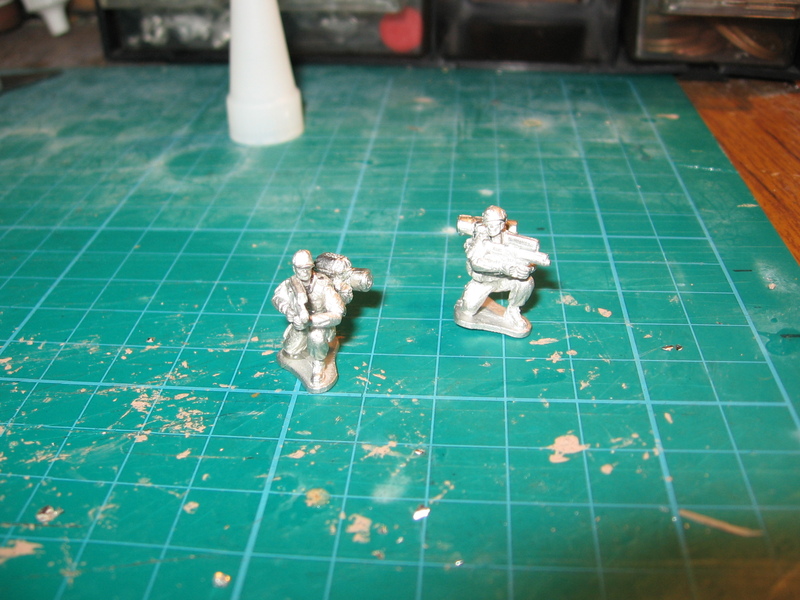 One each of the Rifleman poses in the three squads. Some heavy metal comes forth from the Shed. 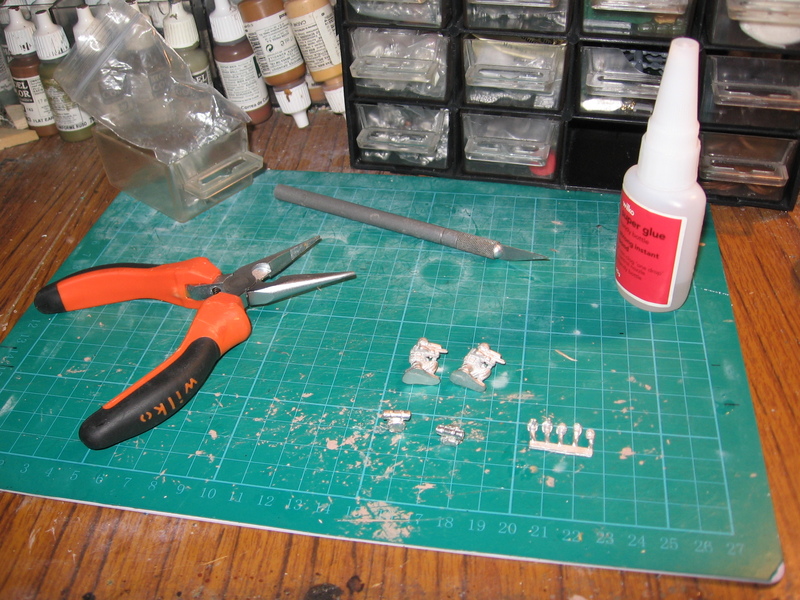 These were the last of the 1/72nd vehicles that brought me up to my total for the quarter- see last post. 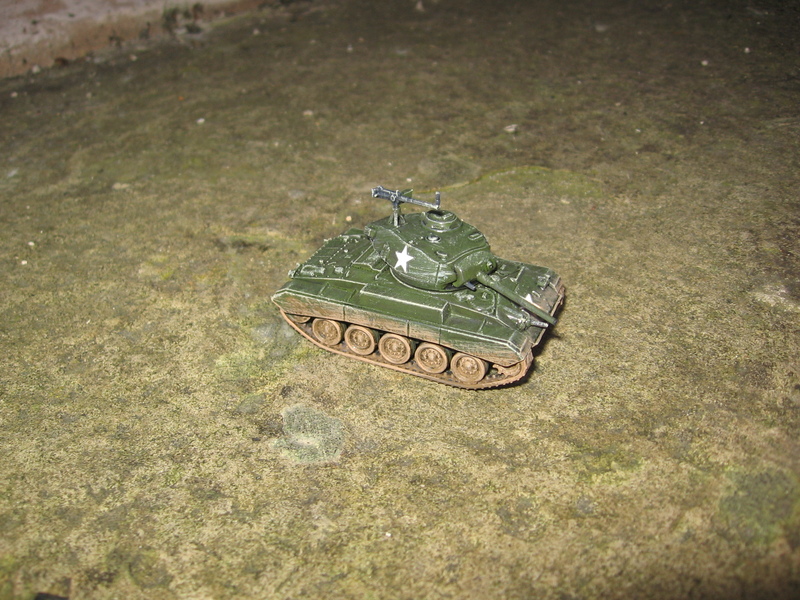 First up a Dragon Models M103 heavy tank. 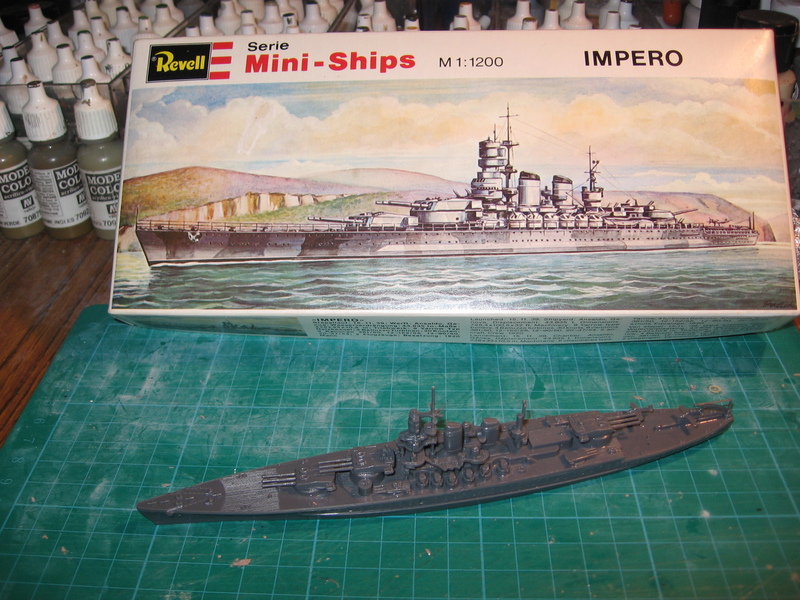 A great kit to build, and the single colour paint job went well too. Serving from the fifties to the early seventies it will make an interesting opponent to my IS3s. 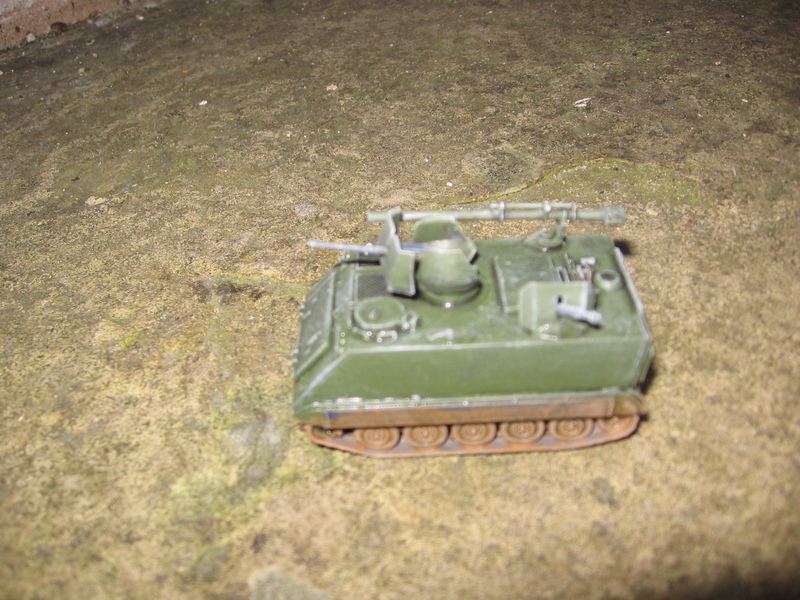 A Model Collect TOS1, basically the Katyusha from WW2 updated with Thermobaric warheads and mounted on a tank chassis, in this case a T72. They first saw operational testing in the Soviet war in Afghanistan then further use in Chechnya. 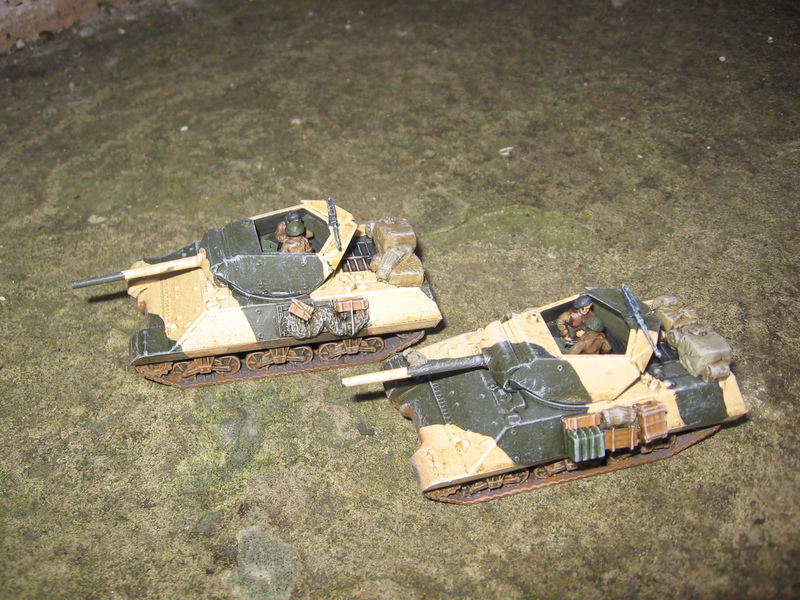 Last but not least we have an S and S models Jagdpanzer Kanone in resin, I acquired this one from ebay a while ago. 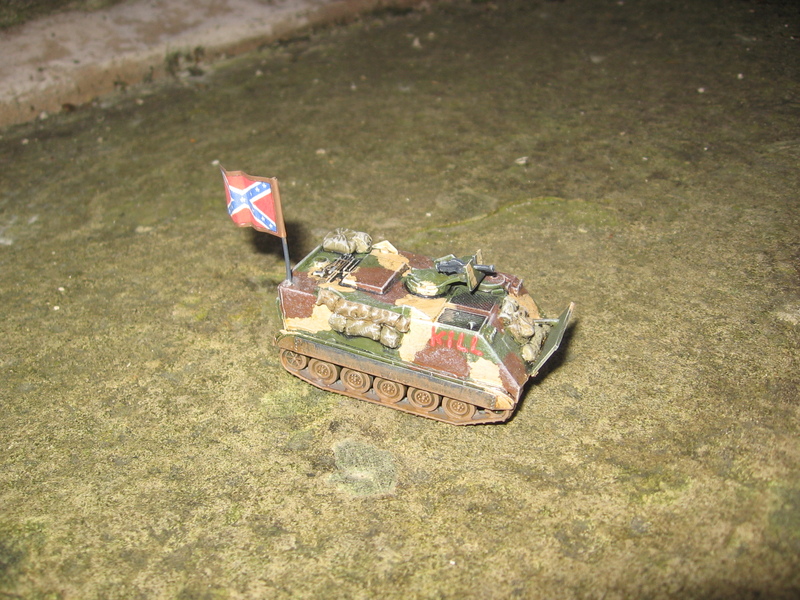 Seems like the tank hunters design lived on a bit longer after WW2, the 90mm gun of its was a rmed with soon became obsolete; the chassis were converted to carry Anti tank guided missiles instead. This trio should make for some interesting additions to my post war games. Over the past two weeks I ran a game of Black Ops for Brian and Evan, they took the role of the SOF troops whilst I plumpired the opposition. 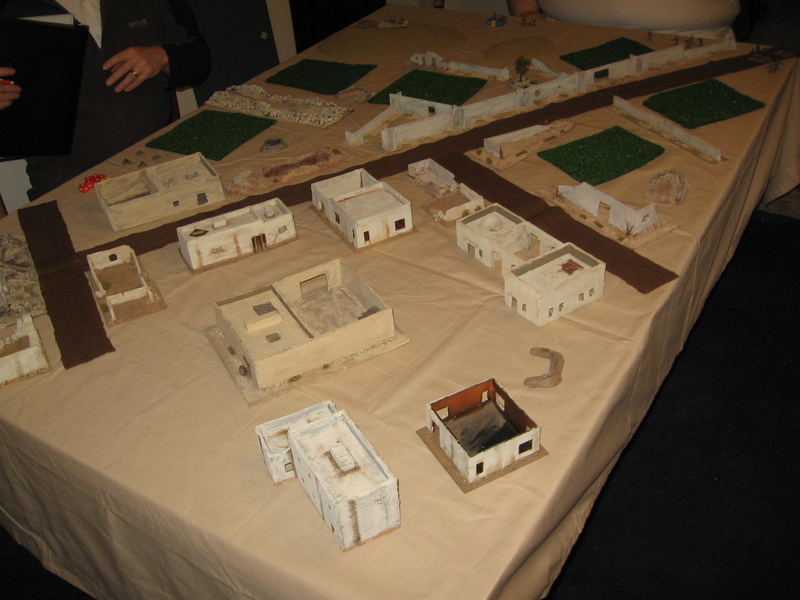 The first week was taking up with planning whilst in the second week we played the scenario out. Target for tonight: The Bomb maker. Situation: Recent attacks on coalition troops have been shown to be the work of a new IED maker recently arrived in the area from the Pakistan tribal areas. SIGINT has pinpointed his location and a SOF raid has been authorised to remove him. Victory Conditions: Kill the Bomb maker. Intel/ Suspected Enemy: The bomb-maker has been using a large walled compound as his factory before moving the IEDs to the local Taliban for planting. Drone surveillance has shown that when the target is present the facility is guarded by 6-8 fighters but his group may be as 18. You have 80 points to spend from the Special Ops list. Decided on the forces you want, the style of attack and the time of day. I also made a rough sketch map of the table I intended to use. Brian and Evan took a hour or so to make up their forces to a combined total of 80 points. Brian went for an NCO (Ace) with a silenced PDW (fancy new SMG) who had the linguist and B+E skills and two Soldiers (Jacks) one with an Auto Shotgun, the team medic, and the final one with a suppressed Assault Rifle, who was the demolitions specialist. Evan took and NCO (Ace) with an Assault Rifle and Under barrel grenade launcher, a Soldier (Heavy, King) with a GPMG and a Soldier (Jack) with a suppressed Designated Marksman Rifle. Given that Evan’s team was to play a supportting role he elected not to buy any skills. 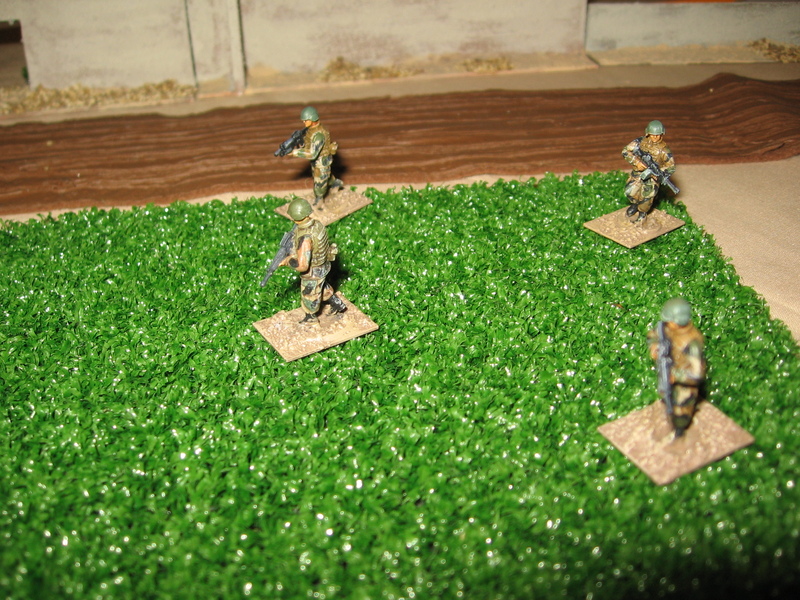 Both players agreed on a night attack so equipped the entire force with Night optics. Here we took a week’s break, waiting till the next game night to play the raid out. This gave me a some time to paint up a few extra figures we needed for the game. 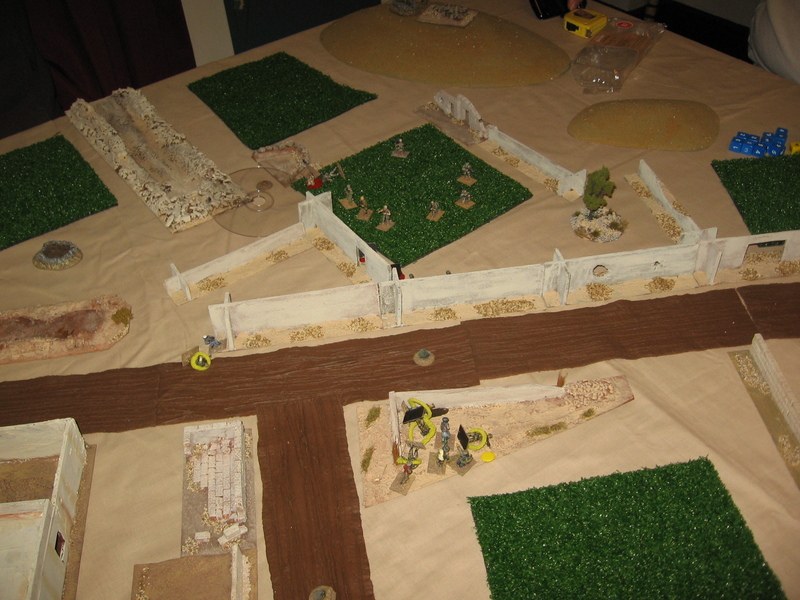 The table set up for the game. The wall was considered to be contiguous and over head height with only one gate at the top middle of this photo. The guards are arranged around the compound with the balance of the forces split between the main centre building and the double building on the right. Another view of the table. Both Brian and Evan’s troops entered from the right hand side amongst the hills. Brian’s figures enter the table. 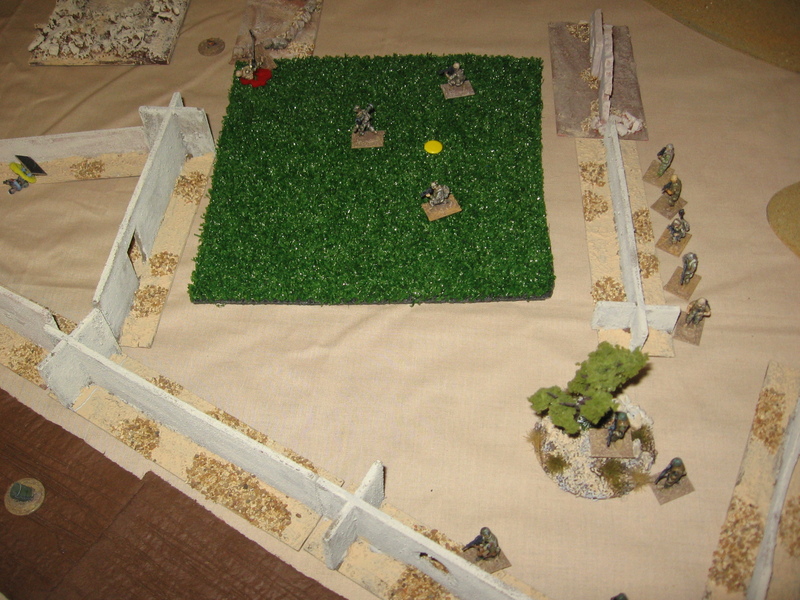 The random moves of the guards kept both players movement cautious. Basic overview of the game and each players route to the main compound. 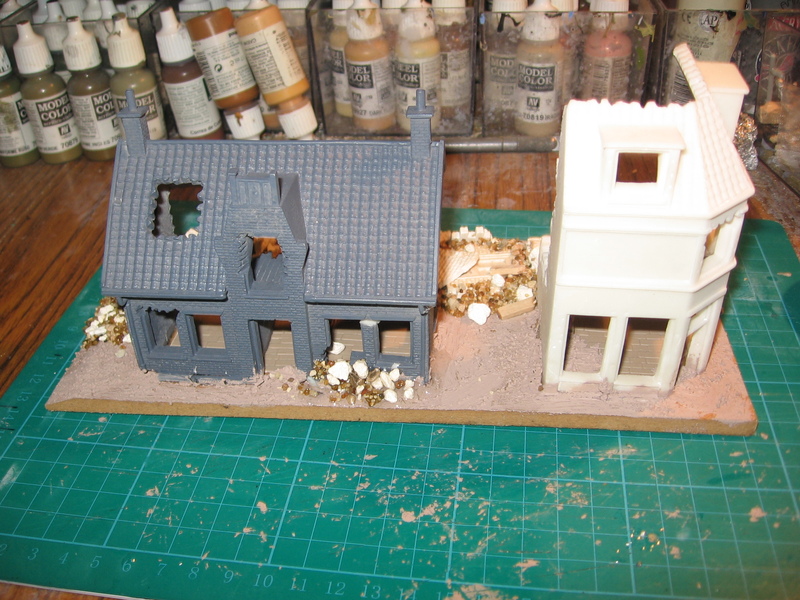 Both NCO’s link up before beginning to clear the first building. 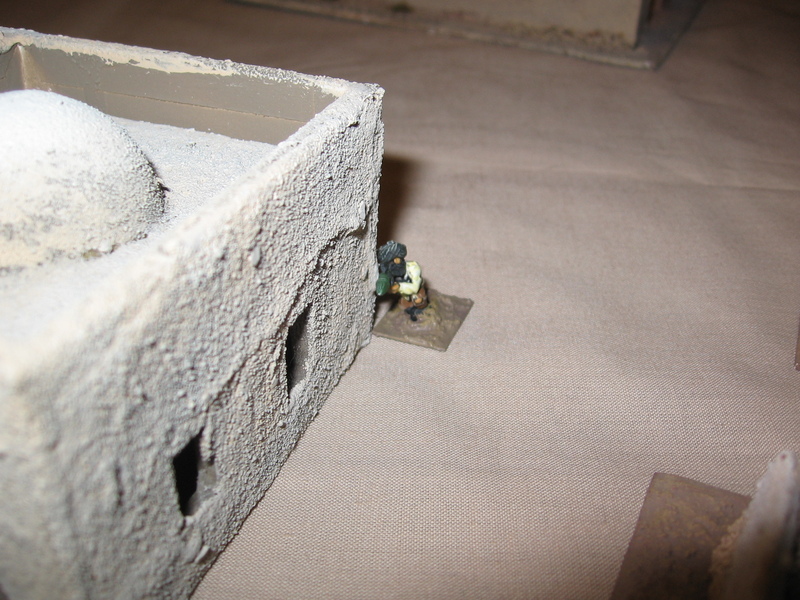 The Demolitions expert pre places a breaching charge before joining the two NCOs. One of the guards wonders rather close to the two NCOs. In a bit of roleplaying Brian tries to get his linguist to call out to the guard to entice him closer. It’s a good idea but the role fails. Plan B is to quickly kill him then drag him inside. All four figures have no entered the first building. The stealth rules are still in effect as the guards haven’t noticed that there is one missing from their number. One of the guards is more observant than the others and notices Evan’s NCO lurking by a window and shots are exchanged. The guards spring into action and now come under umpire control. In the intial exchanged of fire the fanatics come out very badly. Between the figures in the building and the DMR on the hill the guards fair badly. 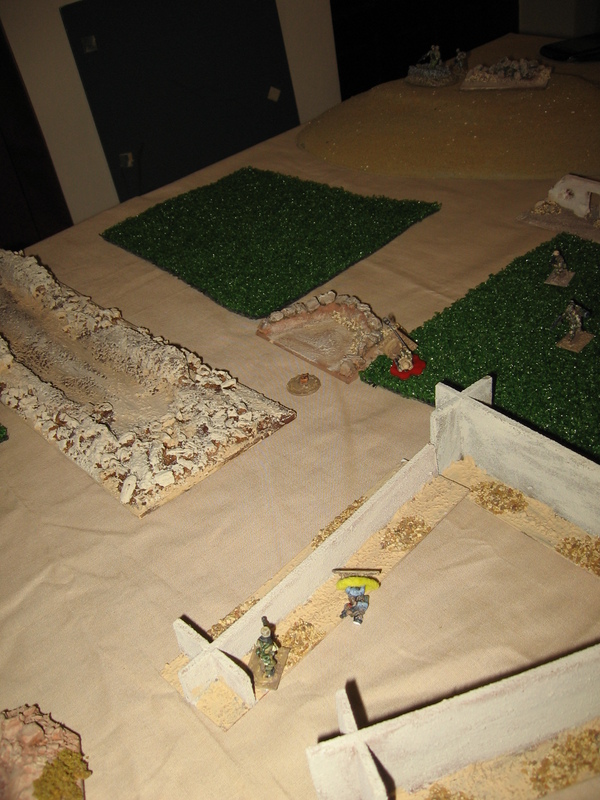 They do manage to get a shot on target and take down one of Brian’s soldiers. The medic stabalizes the wound but he’ll play no further part in the game. Four more fighters rush from the building to try and take out Evan’s NCO. All they do is provide so easy target practise for the GPMG. 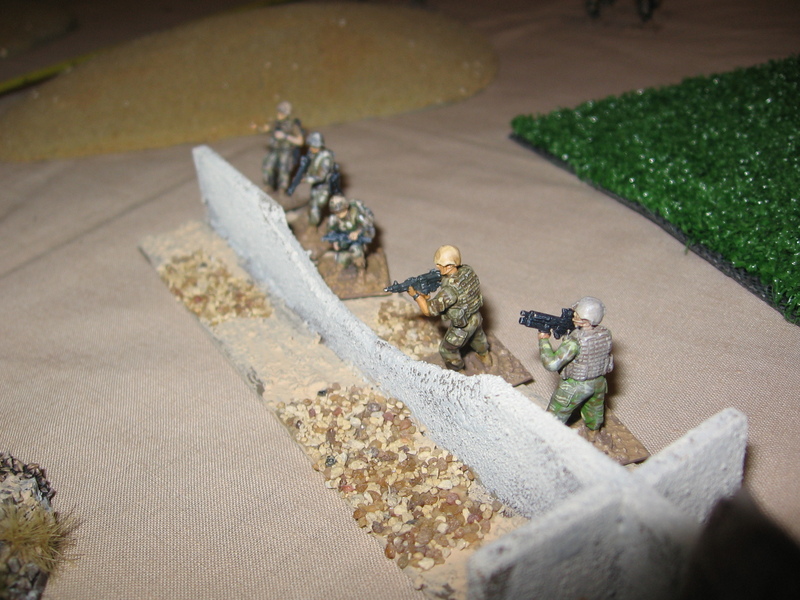 A fanatic PKM in the doorway tries to suppress the SOF troops as much as possible (the black counters) to try and help out the group of four joing the fight. Given he had no optics he could suppress the main threat which was the GPMG on the far hill. 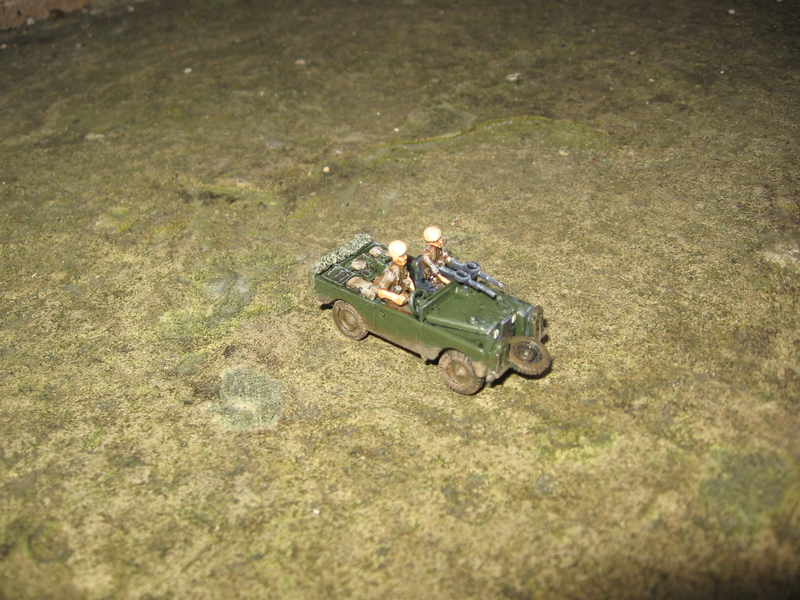 Entering the main building two more fanatics who escaped the fire of the GPMG are seen lurking in an inner courtyard, still no sign of the bomb maker mind. As they move to engage a burst of AK fire down’s Brian’s medic with a fatal wound. Evban’s NCO can just be seen advancing in from the bottom of the shot. Finally cornered in a side room the bomb maker meets his end. By this stage of the game Evan’s DMR armed Soldier has entered the compound via the pre placed demo charge. The final score was all but one of the fanatics taken out for one killed and one wounded amongst the Coalition SOF troops. The game went really well. so much that I am planning a follow up game from the intel collected from the compound. There are a few clarifications regarding the stealth rules that we would like but overall this first proper scenario was a great success.